Beauty Science is advancing greatly each year. That means that products we use to save our skin and hopefully turn back time, are getting stronger and more effective. Namely, the role of copper peptides. Copper peptides can flatten moles, lessen the depth of scars, and get rid of blemishes, and other skin conditions that eat away at our self-esteem. Dr. Loren Pickart, a well-respected bio-chemist, is the skin genius who discovered the value of copper peptides. And his line of products named 'Skin Biology,' bear his many years of scientific beauty work. And if you're anxious to really zero in on moles, scars, skin tags, blemishes, etc., try either Skin Biology's Super CP Serum ($24.95, 1 oz.) 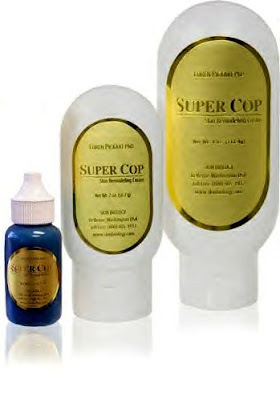 or his even stronger Super Cop Cream ($49.95, 1 oz.). Both products are successful at slowly repairing skin and flattening or even erasing completely, the skin issues you are bothered by. The products contain his copper peptides. And although the ingredients are strong, if you begin gently, the effects build up over time. Add in some Hydroxy Acid products, and you are on your way to prettier and 'remodeled' skin. 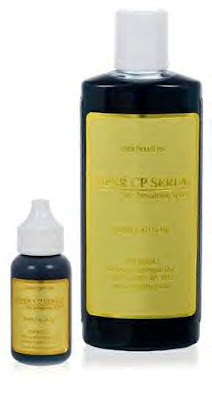 To get a real education on copper peptides, visit http://www.skinbiology.com/. The skin care line is sold there. I always learn something valuable here at your website. I'm going to check out the skin biology website.